In today's workplace we are all constantly looking for efficiencies in our day to day work activities in a manner where we work smarter rather than harder. 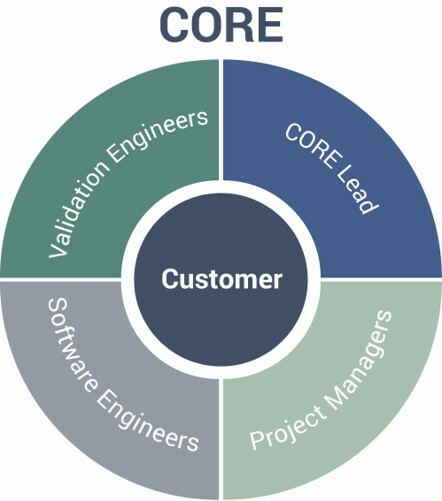 At Cenduit, we strive to make our customers’ lives easier through the alignment of operational resources with our customers, in the form of our Customer Oriented Resource and Engagement (CORE) model. The CORE model aligns cross functional Cenduit resources with sponsor organizations to enhance operational delivery and provide a superior client experience. Supporting our customers with a CORE team structure allows the opportunity for Cenduit team members to work with sponsor organizations on a more frequent basis. Such a process also enables the development of a close understanding in preferred ways of working through familiarity and an ethos of continual improvement by jointly learning lessons of what went well and what could be done differently from each study delivery, even in situations where different personnel may be involved in the next project. With each study delivered, interactions between both organizations become more efficient, fewer questions need to be answered by sponsor team members and less topics need to be discussed in granular detail - leading to further acceleration in study timelines. Over the years, I have observed that by working collaboratively, it is possible for close-knit teams spanning vendor and sponsor organizations to take hold, leading to consistently high quality operational delivery on both sides. Add the development of trust into the working relationship, an environment of openness and productive dialogue can become the norm. The development of such relationships can often result in more fruitful interactions, sharing of a more forward-looking view to potential study situations allowing increased proactivity and consultation between groups to the benefit of the study and better clinical outcomes. By sharing a collaborative mindset and working as a single team across vendor / customer boundaries, study teams have more time to focus on other aspects of their study that may require attention to ensure their trial is as successful as it should be. Curious to learn more about operational delivery excellence in clinical trials? Contact us today.